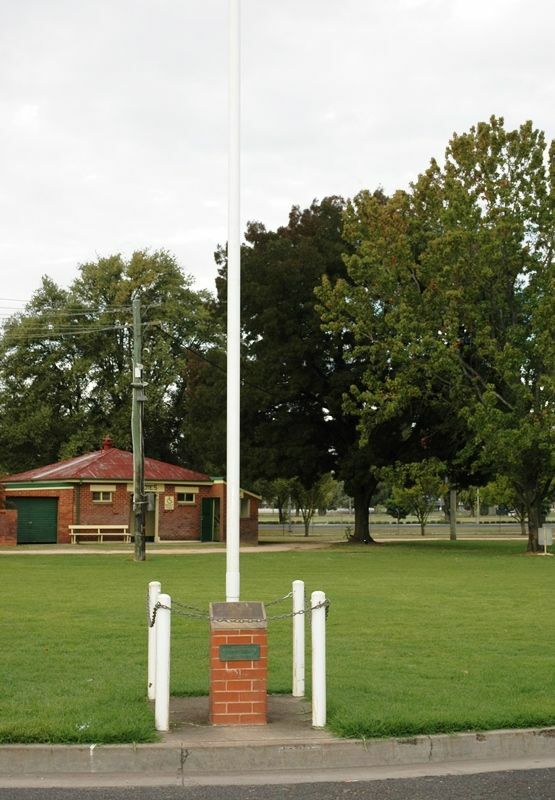 A monument commemorates those who trained at the camp and those who served in World War One. On January 17th 1916 an army camp was established on this site during Wold War One (1914 - 1918). Reinforcements were trained here for the 53rd and 54th Infantry Battalions. All for active service in France. The camp was flooded in October that resulted in its closure in December 1916. The camp held a special significance for the great recruiting marches of 1915-16. First the "Coo-ee" march from Gilgandra to Sydney, the idea of "Capt" W. T. (Bill) Hitchen, who also gave his services to the "Kookaburras" march from Tooraweenah to Bathurst, the "Wallaby" march from Narrabri to Newcastle and the "Waratah" march from Nowra to Sydney. Ten of these route marches were conducted between October 1915 and March 1916. On October 28th 1915, the "Coo-ee" marchers led by Bill Hitchen of Gilgandra camped here overnight whilst on their way to Sydney. On February 3rd 1916 the "Kookaburras" terminated their march from Tooraweenah with 93 recruits. 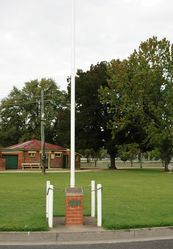 On February 5th 1916 the "Boomerangs" "terminated their march here having come via Cowra from Parkes with 202 recruits. 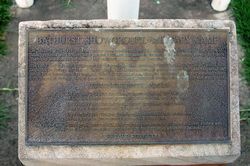 This plaque was erected by the Bathurst RSL Sub Branch to commemorate all those volunteer soldiers who trained here and for those who went on to fight for a cause in which they believed.